This center is dedicated to increasing access and awareness of assistive devices available to people of all ages and disabilities to reduce or remove barriers and increase independence in performing tasks of daily living. The WCAAA will give free personalized or group demonstrations on assistive devices such as magnifiers, phone amplifiers, vibrating alarm clock, talking watch and kitchen utensils just to name a few. This demonstration will enable an individual to make an informed decision as to which device will work best for their needs. The items demonstrated may help you or someone you know to live, work, or play more independently and with more freedom. Please call us at 203-757-5449 and schedule your appointment with Charlene today! For information about our presentations or to book your presentation, please call WCAAA 203-757-5449 and ask to speak with the Assistive Technology department coordinator, Charlene. Presentations can range from 30 minutes to an hour. WCAAA can provide speakers free of charge and they are generally available during business hours only. Here are a few assistive devices to help with everyday living. Say goodbye to struggling with opening lids and sealed tops. 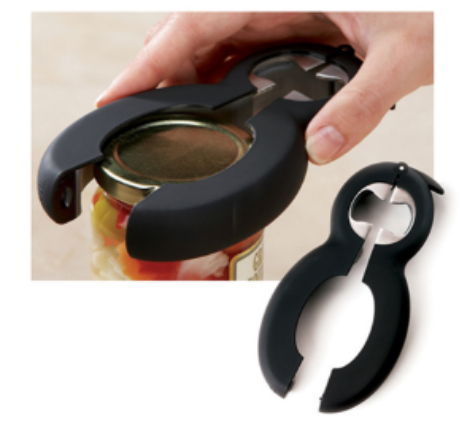 This stainless steel 6 in 1 Multi Opener effortlessly opens jar lids, pull tabs, safety seals, large bottle tops, small lids, and bags. Coated with smooth, durable rubber-like plastic for a comfortable grip. Ideal helper for arthritic or disabled hands. 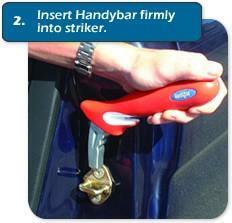 The Handybar is a tool designed to provide extra support for you when entering and exiting your vehicle. Equipped with a seat belt cutter and side-window breaker for emergencies, the Handybar is perfect for people with limited mobility due to recent surgery, back or leg problems and pregnancy. The Button and Zipper Aid has a specially formed stainless steel wire loop that is inserted through the button hole and hooks over the button to allow it to be pulled back through the eyelet. These sunglasses are great. 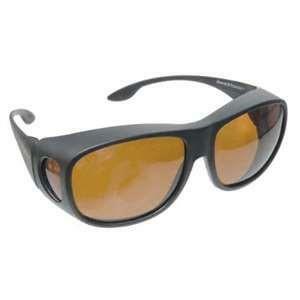 When you put them on it just enhances and improves visual acuity. Features & Benefits include; Prevents fatigue & discomfort due to intraocular glare, engineered to fit over Rx Frames, Soft temples offer added comfort & a custom fit, Contemporary Lightweight Design, and Lenses Block 100% UVA/UVB Light. 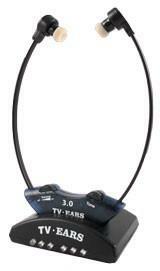 TV Ears has helped thousands of people with hearing loss hear the television clearly without turning up the volume! All you do is charge the base and plug it into the TV and remove the Ears to listen to the TV. With TV Ears technology, you set your own TV Ears headset volume and tone while others around you set the volume of the television to a pleasant level or even mute the volume altogether.